Massive Suite- Three rooms and a terrace fit for rock & roll royalty define this suite, with an outdoor hot tub, music room, runway table, Peek-a-View shower and enough space for a party to rival a Sir Richard Branson soiree. Take all the time you need to get ready, the champagne on the terrace is only getting colder. 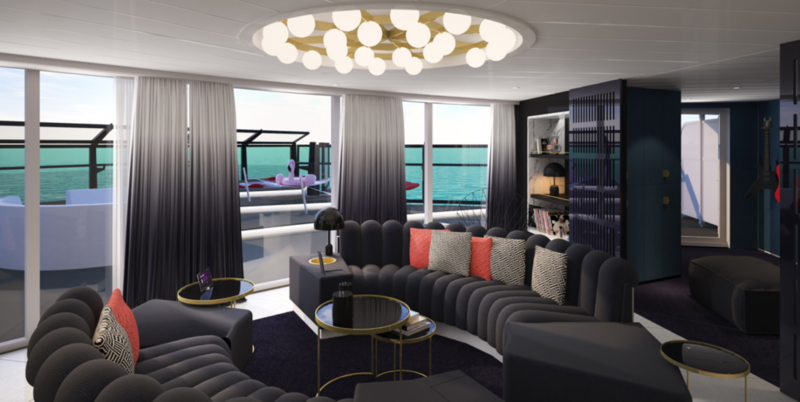 Virgin Voyages- launching in 2020, stay tuned for details.